Secretly Cashing In Big Time In The Comfort Of Their Homes. Most successful people have their own business. And the saying that you cannot get rich working for somebody else appears true more than ever!! This is the Year to Start a Home-Based Business! This is one great informative tool that will give you some really good ideas on where to start!! An e-book on having your own business, what to do, and how to go about putting one together! And what steps to take to make it work for you & all who are in it. This is a 42 page digital e-book with some really great insights to help you meet your goals. 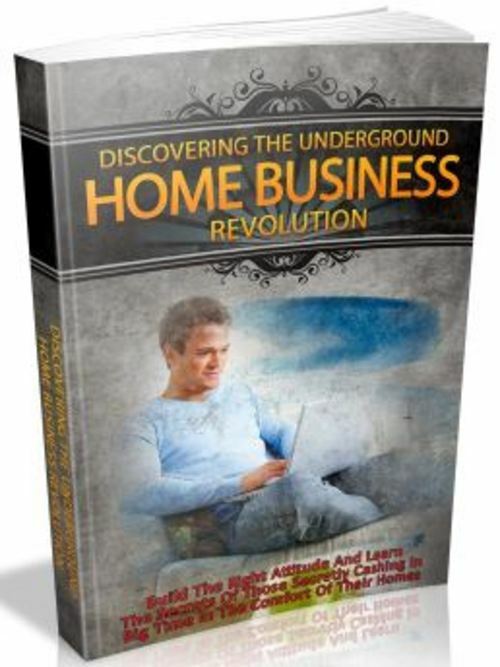 Grab Your Own Copy Of Home Business Revolution Manual Now! Ideas To Become A Work At Home Mom - 25 Plr Article Packs! The One And Only Work At Home Book You Will Ever Need!